Please accept my apology in how long it has taken me to write this letter to you. There are many reasons for me to express my deepest thanks to you for your decades of public service. As a former high school English teacher from Philly, your lifelong commitment to create a just, equitable, and inclusive society for all of our children has deeply resonated with me. But today, I want to particularly thank you for how gracious you’ve been in casting aside your personal feelings about the outcome to the election to unite our country. Despite the fact you’re now leading by more than two million popular votes, you’ve put aside your huge disappointment to unite the country. I have nightmares about how our country might be torn apart if there is no peaceful transition of power at the end of elections. While many of your opponents have painted you as a villain with unbridled ambition, I want you to know, I recognize how big your sacrifice is to unite our great nation. Thank you for all your work and I hope to join you and millions of other citizens to continue to work towards a just, equitable, and inclusive future for all our kiddos. Want to say your thanks to Hillary?? Please consider writing a letter from your heart to Hillary and email it to us at hillaryletters@gmail.com. Please help us spread the word by sharing this post with your friends and networks. If you follow me on Twitter, you know that I often rely on the wisdom of the Kid President to give me enough courage, strength, and motivation to keep doing good work in the world. 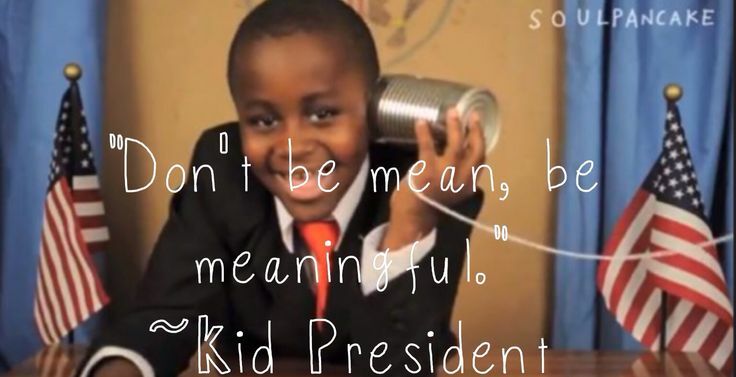 For me, work of Kid President embodies the values we should all try to lift up in our lives, values such as kindness, generosity, optimism, and inclusivity. Unfortunately, this is not the current political or civic climate of our country. 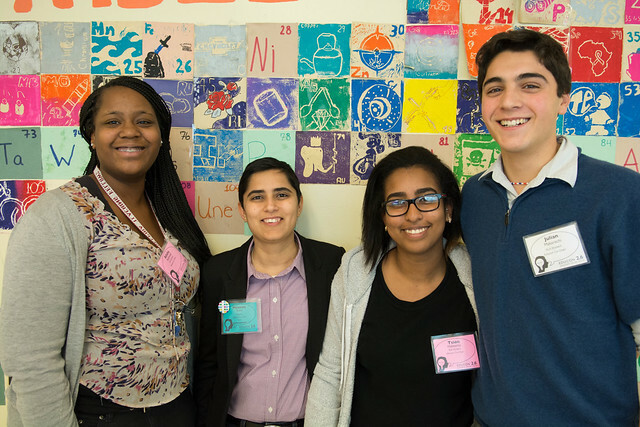 For many writing project educators, Letters to the Next President 2.0 is an exciting opportunity to support youth voice and civic participation around issues that matter to them. Here are some materials to support this work at your site this coming summer and into the fall. This resource, L2P 2.0 Ideas & Resources for WP Sites, is crowdsourced from writing project colleagues across the network; feel free to draw from this and also share. The L2P 2.0 Promotional Toolkit is a resource created to support you in getting the word out about this project. Find here language for posts, tweets as well as images you can use via blogs/newsletters as well as on social media. Coming up soon! NWP Radio on Thursday May 26 at 4pm PT/7pm ET is about Design Thinking for Letters to the Next President 2.0 with teachers and students from across the country including the Hudson Valley Writing Project, Cal State Writing Project in LA, UNC Charlotte Writing Project and more! If you haven’t already done so, please sign up at letters2president.org. Signing up here will keep you in the loop about the youth publishing site when it launches in August. And, until then, you will receive updates on resources and opportunities that support educators in thinking about how to make use of this opportunity in classrooms and in out of school learning spaces. One last note: Let us know if you will be working with youth to write letters, either text or multimedia, this summer. We are looking for a range of examples to pre-populate the youth publishing site (letters would be selected for diversity from among a set and would need to be ready for publication by early July in order to prepare for the public launch). Email us at nextprez@nwp.org to let us know. Hope your week is off to a great start. One thing I need to figure out is picking a day of the week to send out the newsletter, have been vacillating between Fridays and Mondays. I have been reflective about what it means to show up fully in your work? And what that could possibly mean for students who come into our classrooms? How do we work to create a welcoming environment in our schools and classrooms? If you have thoughts on this or community building you do in your classroom, I’d love to hear back from you. Thank you so much for subscribing to this newsletter. My aim is to share some of my work in progress. As an admirer of Austin Kleon, I try to adhere to his mantra: Show Your Work as much as possible. With each newsletters, you can expect a general update from on things I am thinking about and working on, links that caught my eye, and something that made me laugh. If you’ve been wondering what I have been up to at the Bill and Melinda Gates Foundation, you can check out some of the work that I’ve contributed to here: http://teacher2teacher.education/. As I have done before through efforts like #engchat, I am working with a team to connect more teachers to one and another in order to improve practice. I hope this newsletter finds you well and serves as an easy way for us to keep in touch and share each other’s work. I’d love to hear what you’re working on, thinking about, etc. Chris Emdin drops some truth in his new new book – if you care about actively working against systemic racism in schools, this new publication is for you.